The current operators of the Melting Pot Café at Krowji are soon leaving for pastures new and we are looking for someone to take on the opportunity to work in partnership with us to revitalise the café. 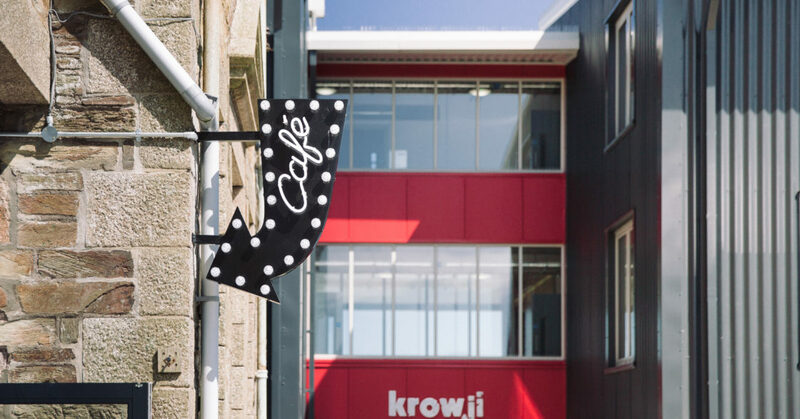 We are looking for a business that will embrace the context of Krowji as a creative hub and create a friendly and welcoming meeting place for those working in the creative sector as well as local residents and the wider public. We are now inviting expressions of interest for this business opportunity, if you’re interested in finding out more see our Krowji Cafe Opportunity Brief.